A wonderfully light, bright and spacious, ‘open plan living’ property. 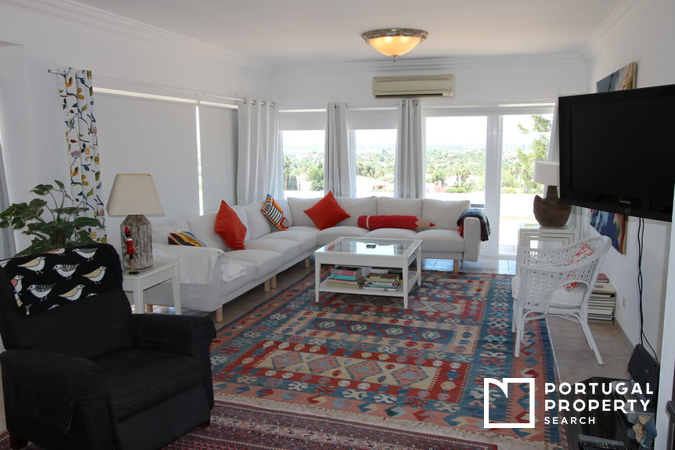 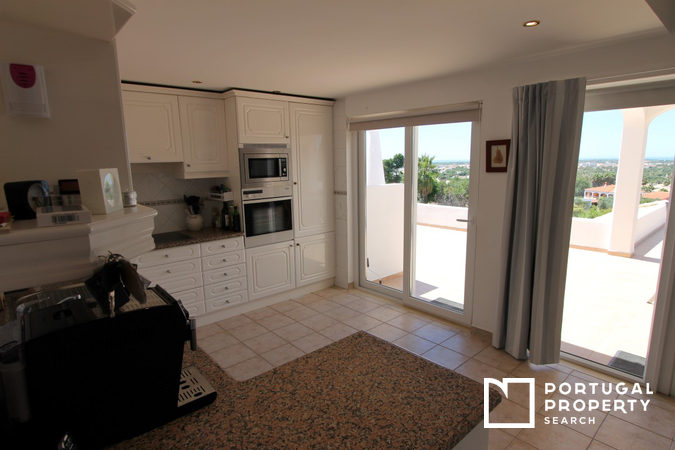 Beautifully presented and decorated throughout in white and with a huge terrace and amazing panoramic sea views. 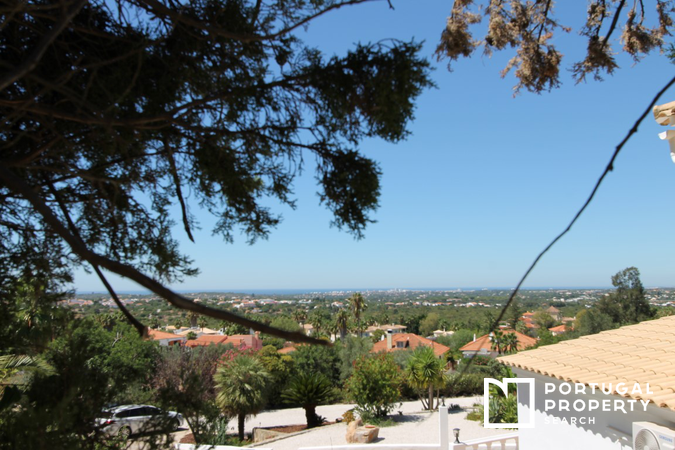 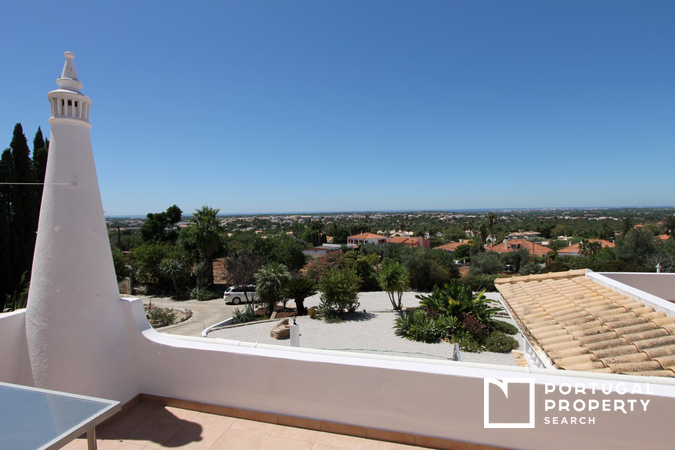 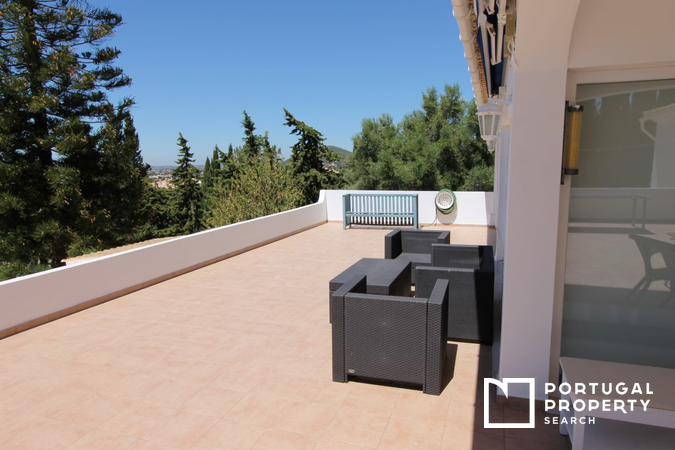 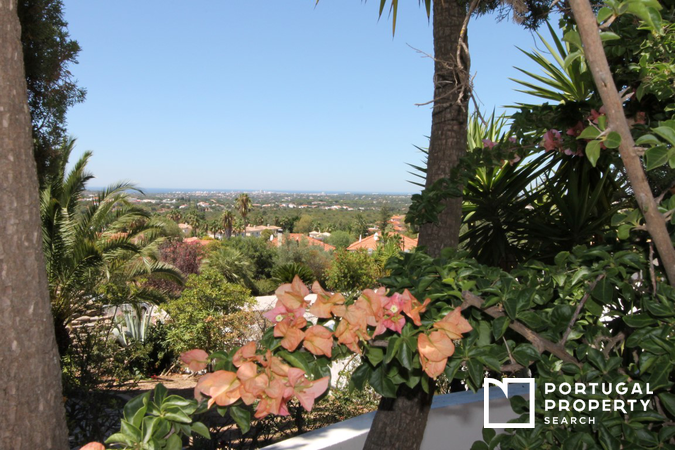 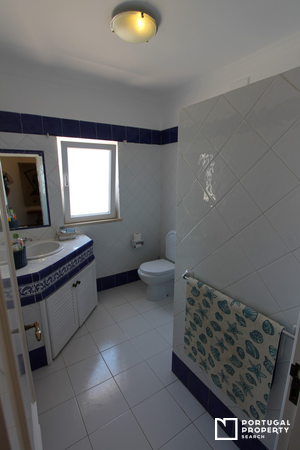 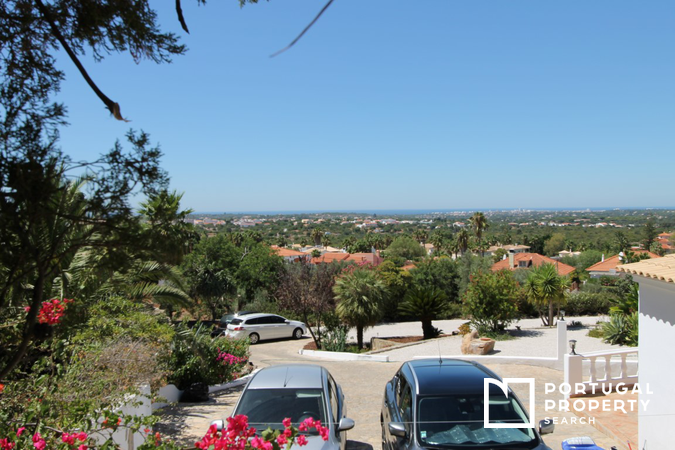 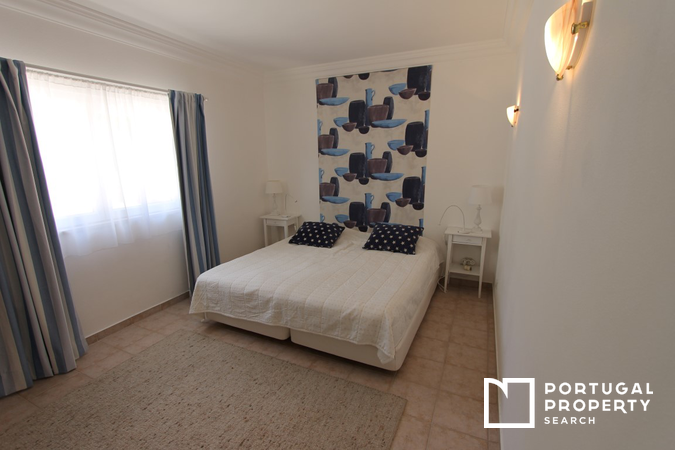 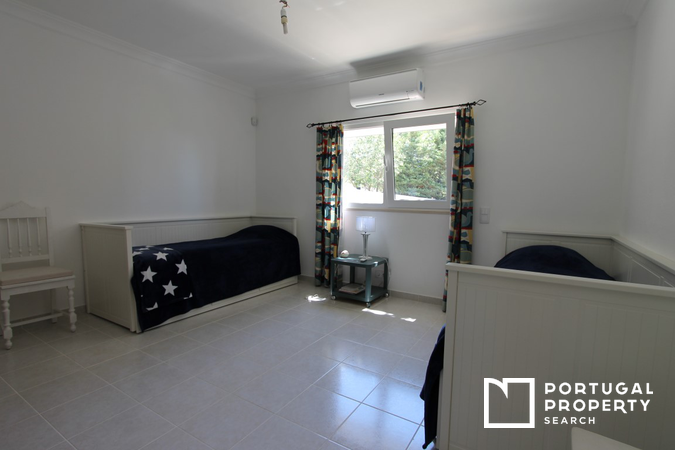 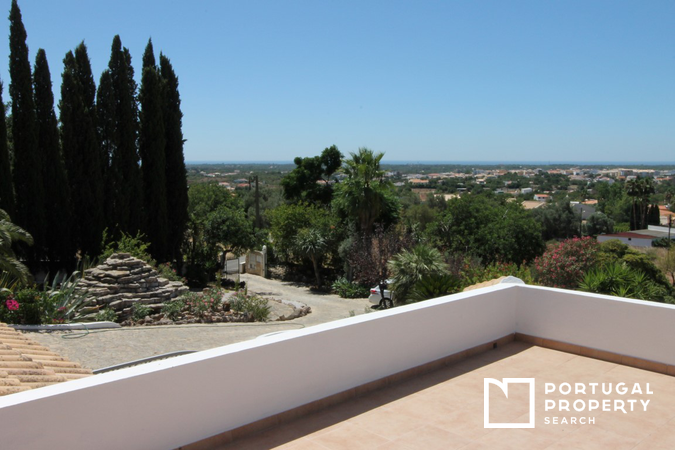 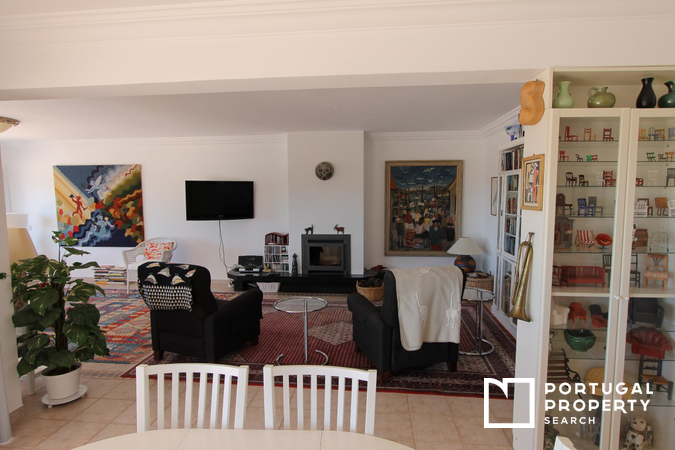 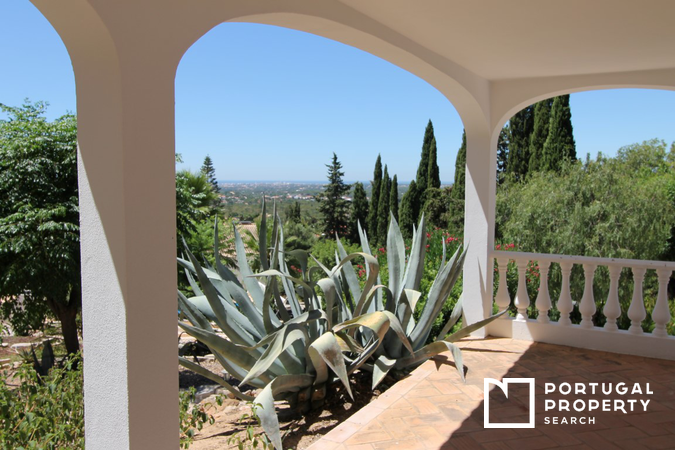 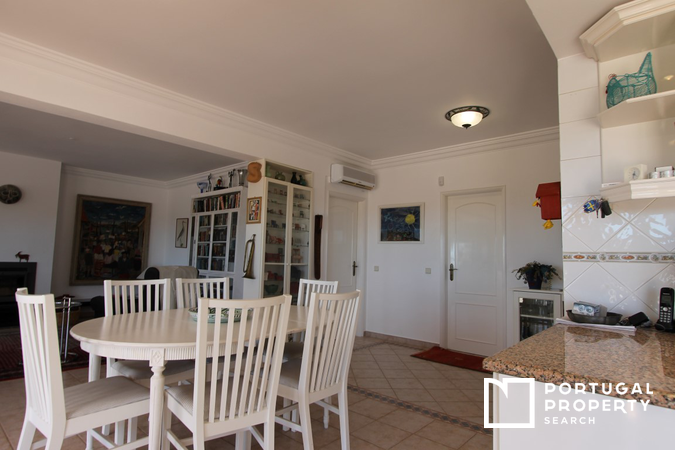 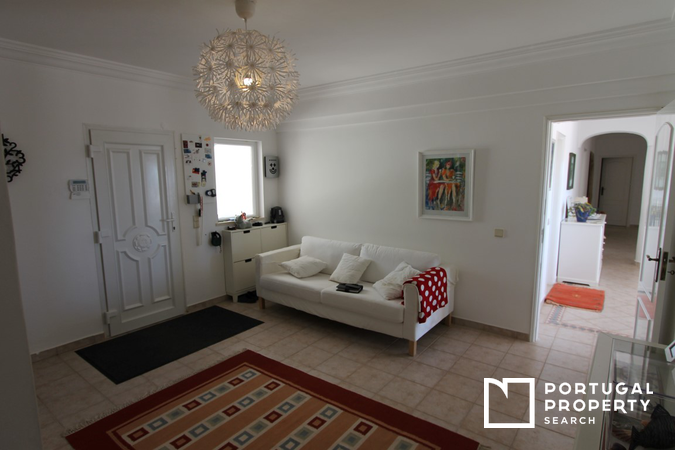 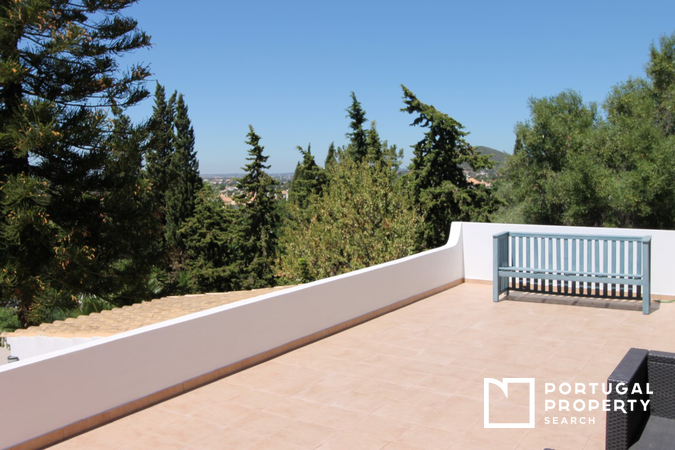 This four bedroom family villa is set in the tranquil residential area of Vale Formosa , 2km from Almancil. 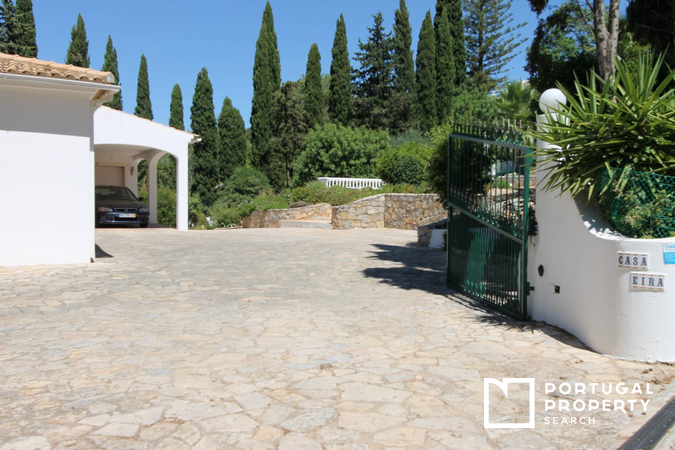 Access is via smaller local tarmac roads. 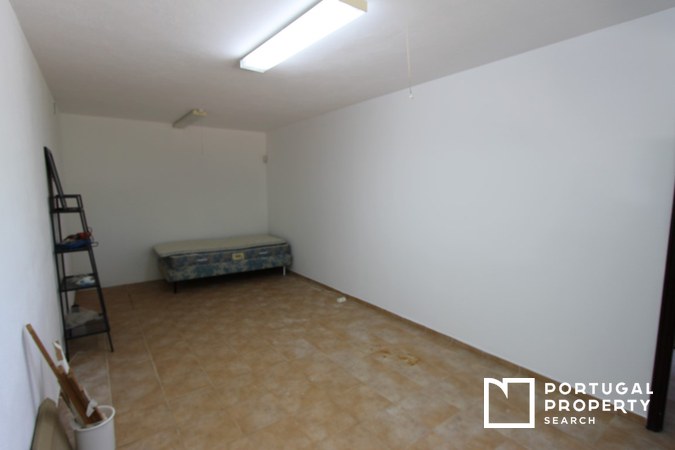 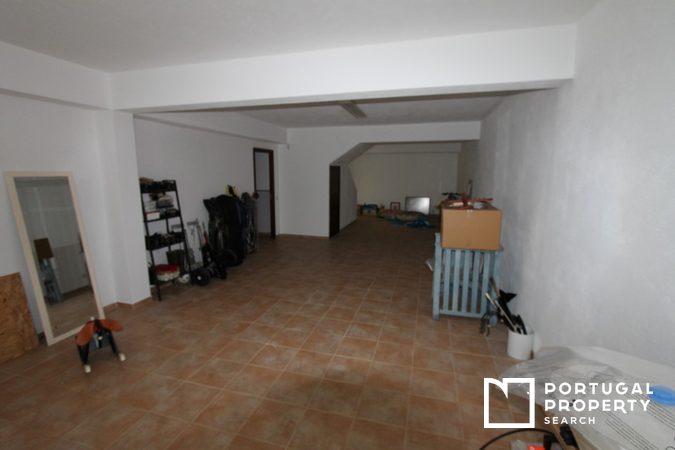 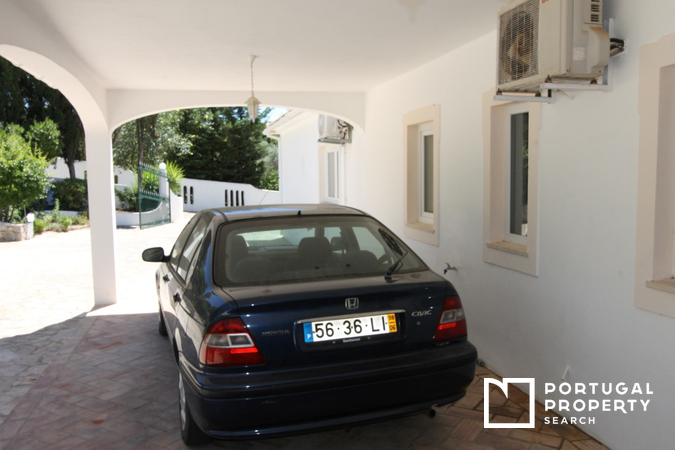 The property has automatic gates at the entrance plus a covered area for parking and a garage with up and over door. 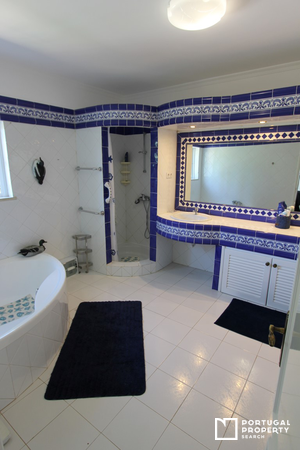 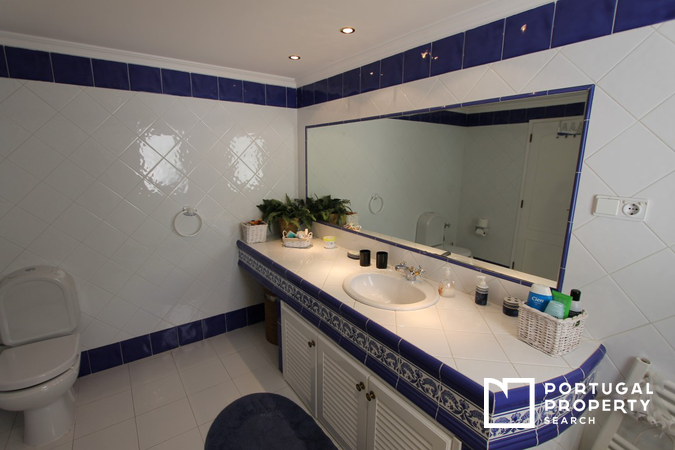 The large master bedroom suite has an en-suite bathroom and there are three further bedrooms, one of which is also en-suite plus a further family bathroom. 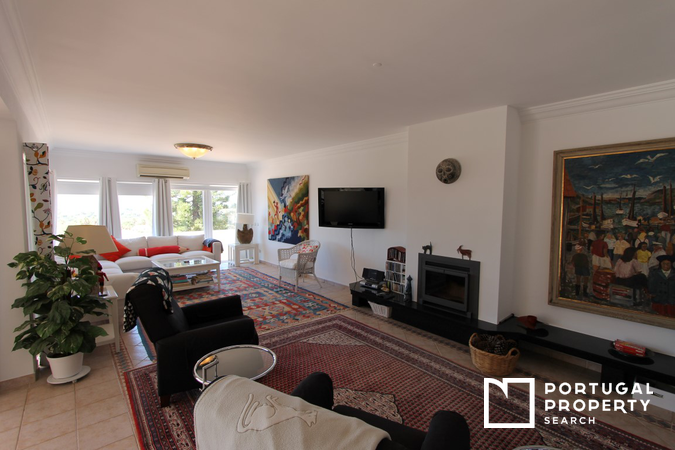 A Scandinavian style fully equipped kitchen, a large dining area and a family lounge with wood burning stove all open out onto an extensive terrace with stunning views of the coast and the sea beyond. 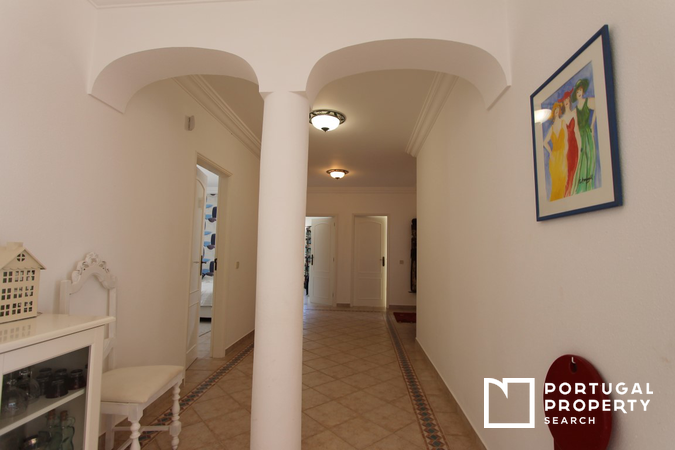 The main part of the house is currently all set out on one floor for easy level access via the front door. 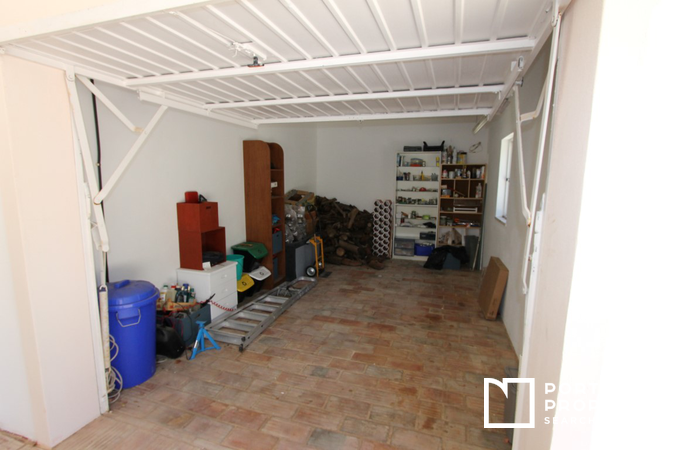 In addition to the main living area there is a large downstairs lower level which currently houses the utility/laundry room, utility bathroom and a huge open storage space that can be used as a hobby room, a games room or converted into a home cinema. 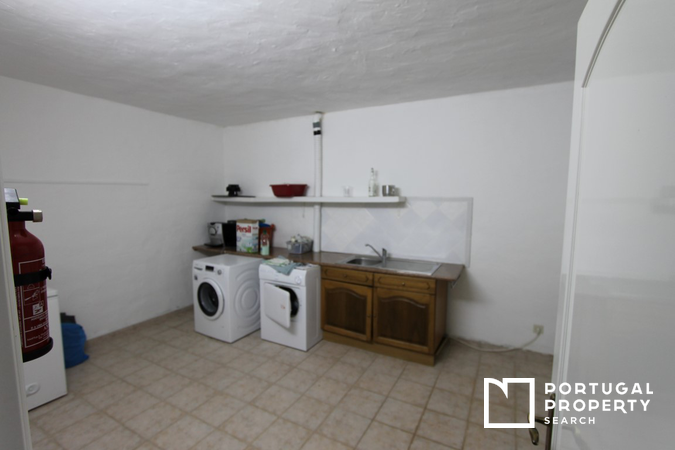 It would be a low cost option to convert this space into an independent self-contained apartment for rental or for use as a ‘granny annex’. 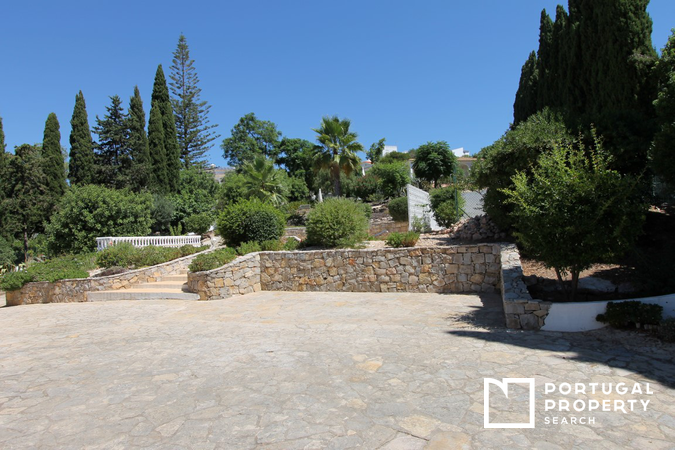 The area has separate access to the garden. 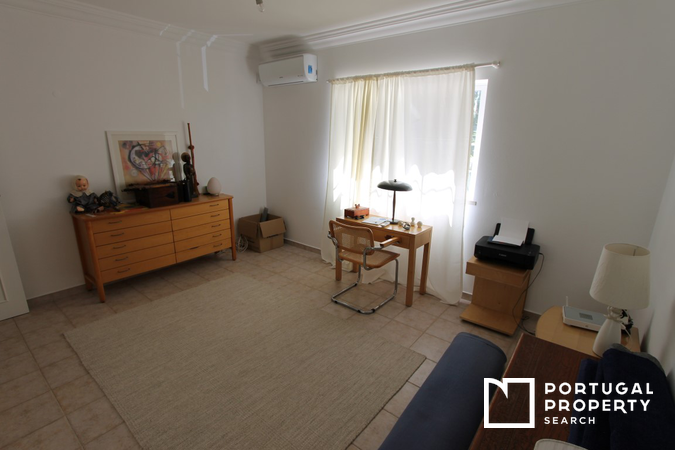 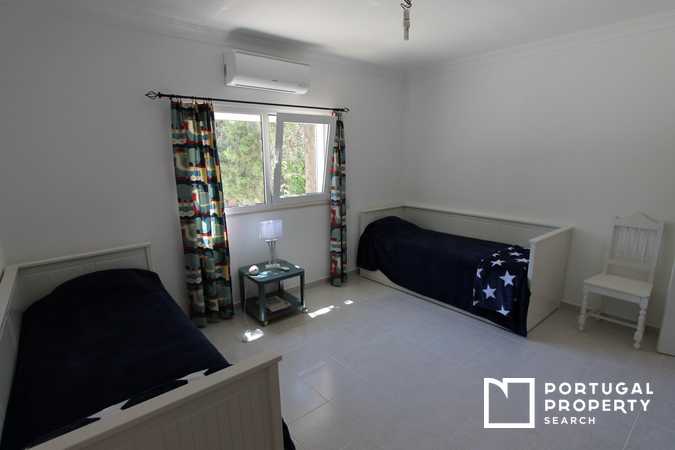 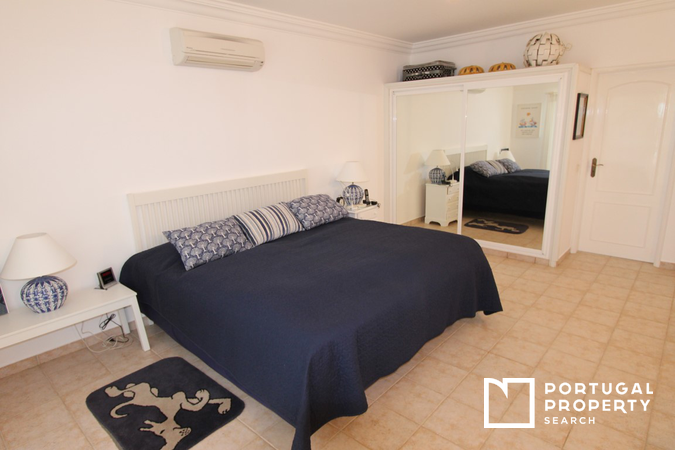 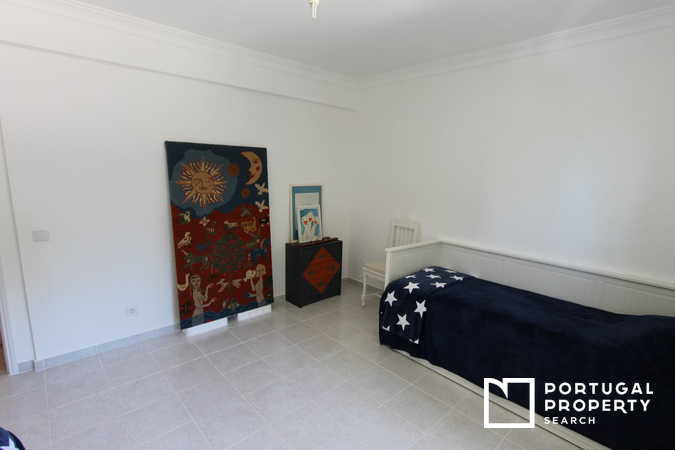 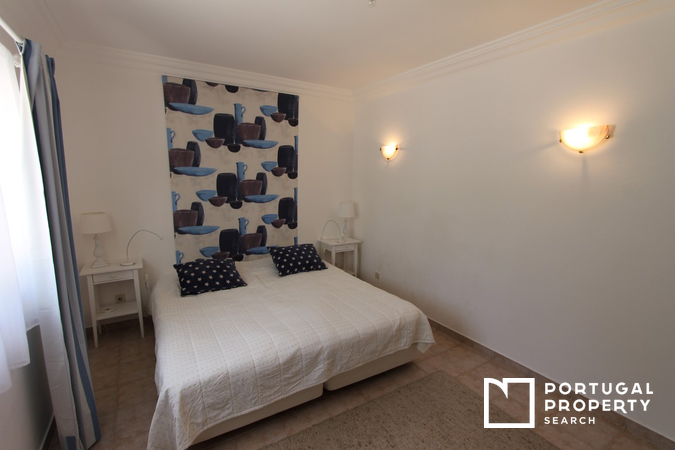 Located separately from the main house there is an independent building that is currently used for storage but could easily become a further self-contained studio apartment with separate access. 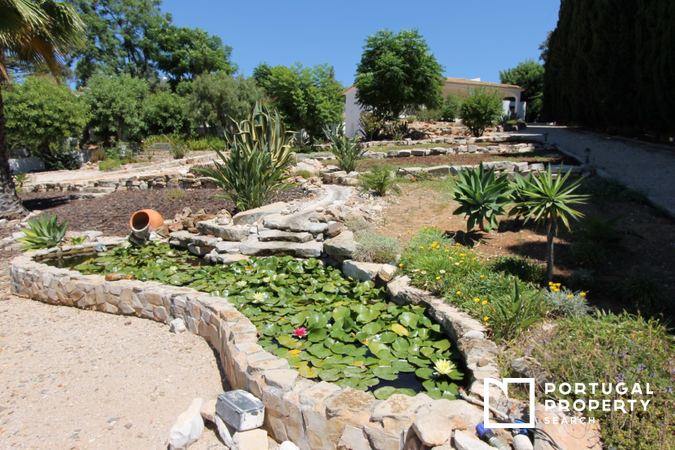 The landscaped ‘easy care’ mature garden surround the pool and feature many different areas of planting, including terraced beds and a cascading water feature. 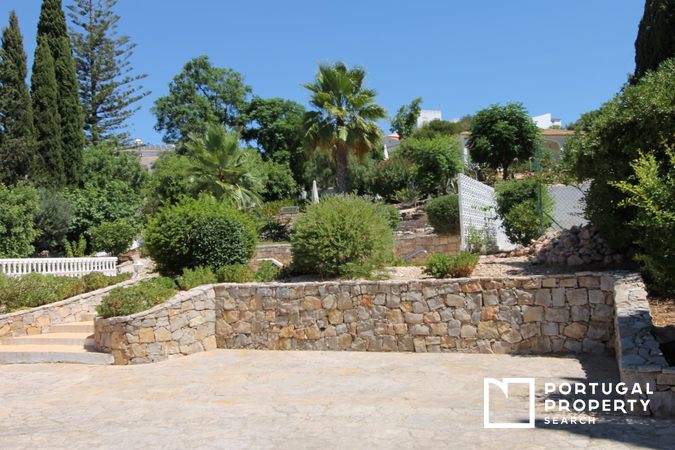 The garden is fully fenced for the safety of children and pets. 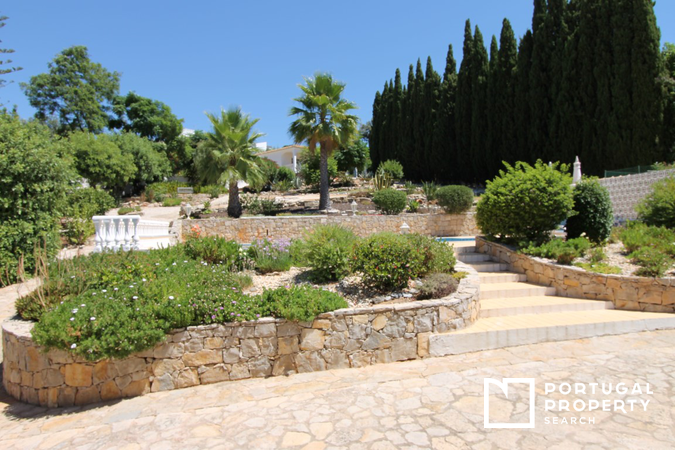 The property really has to be seen to be fully appreciated. 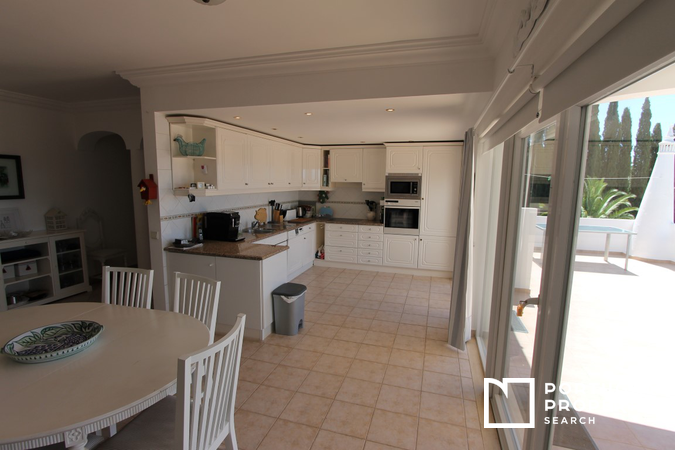 3 Bedroom modern Villa with private swimming pool. 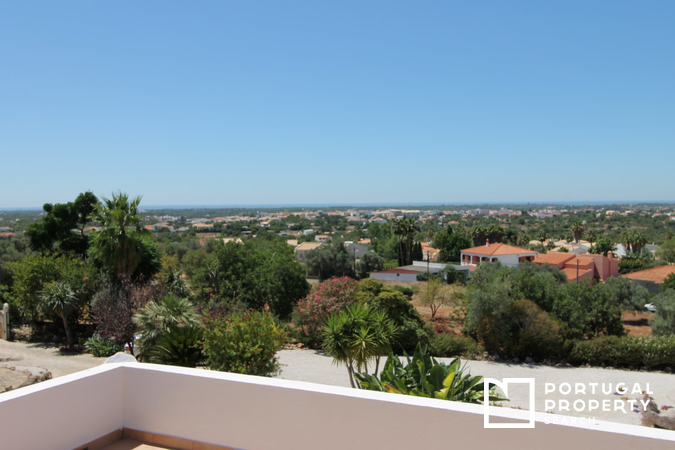 Almancil, Loule. 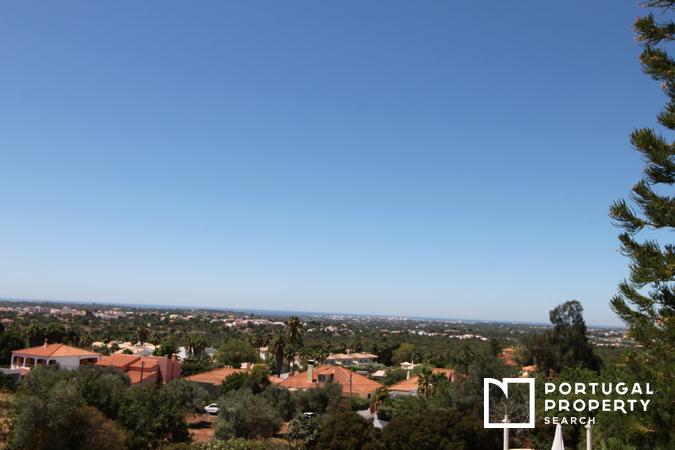 Algarve. 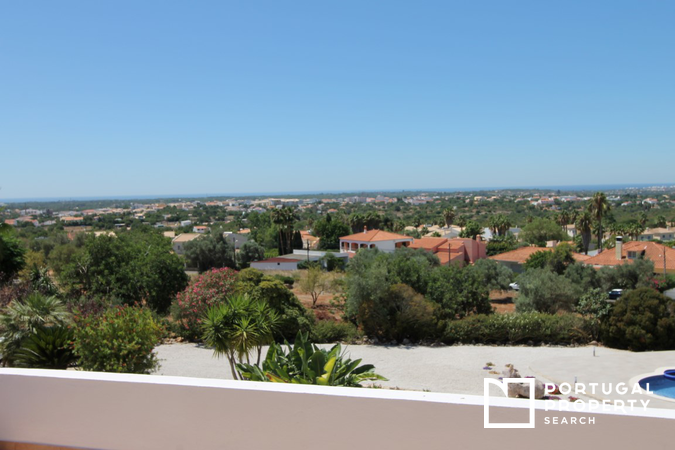 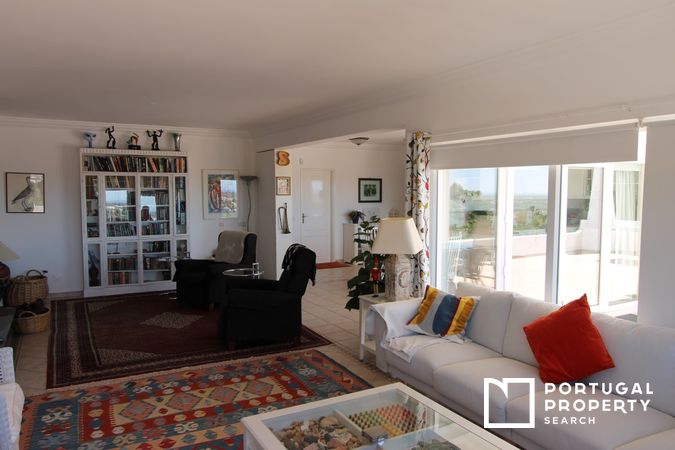 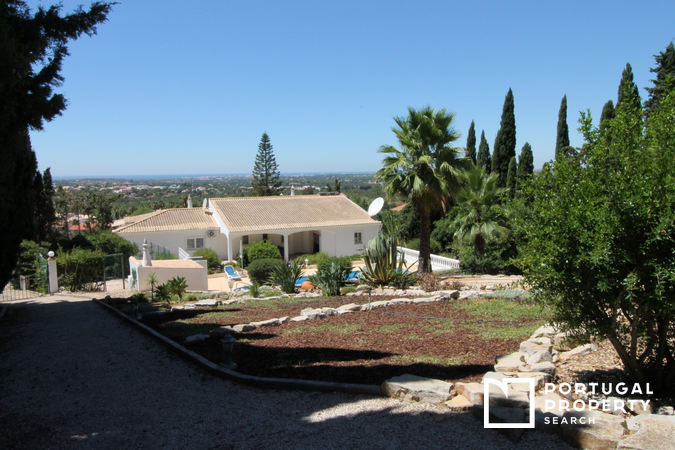 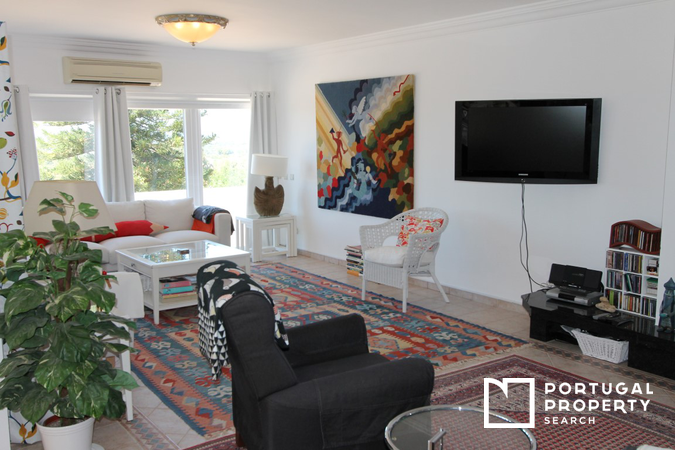 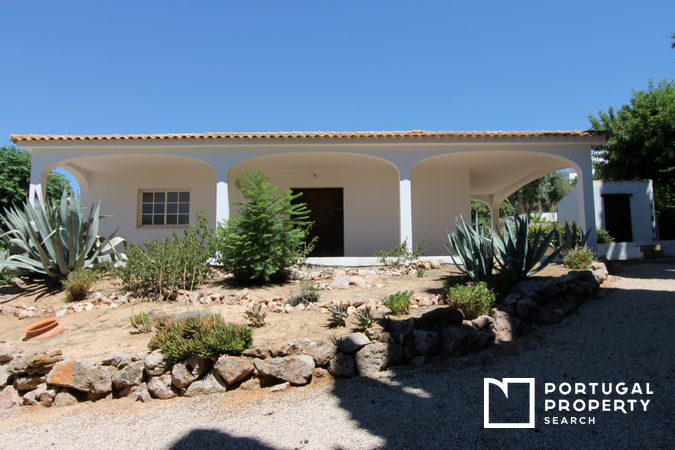 Four Bedroom Family Villa with Sea Views, large Garden and Pool in Vale Formoso, Almancil.